FILE - Morgan Geyser leaves the court after she is sentenced to 40 years of institutional confinement at Winnebago Mental Health Facility. 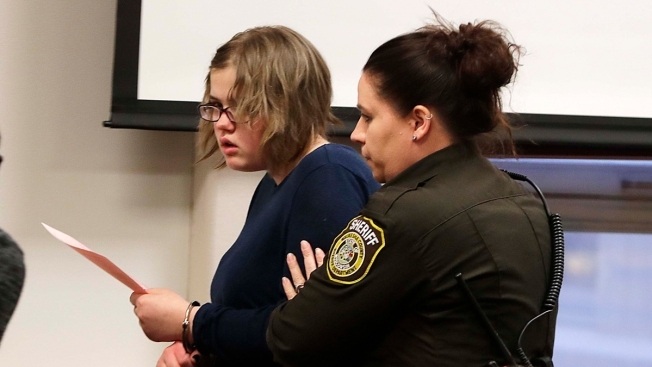 Geyser was 12 when she and Anissa Weier plotted to kill their sixth-grade classmate in 2014 under a delusion they needed to carry out the act to appease the internet character Slender Man, She was sentenced by Waukesha County Circuit Judge Michael Bohren, Feb. 1, 2018. One of two Wisconsin girls who repeatedly stabbed a classmate shouldn't have been tried in adult court because she believed a fictional horror character named Slender Man would attack her family if she didn't kill the girl, according to an appeal filed by her attorney. Morgan Geyser's belief made the attack second-degree attempted intentional homicide, a case that belongs in juvenile court, and not the first-degree version of the crime, attorney Matthew Pinix argued in a recent court filing. Geyser, now 16, was ordered to spend 40 years in a mental institution. Weier, now 17, was committed to mental health facility for 25 years. A Wisconsin girl who told investigators she helped stab a classmate was convinced the crime would protect her and her family from a horror character called Slender Man who she thought was real, her attorney told jurors Tuesday. 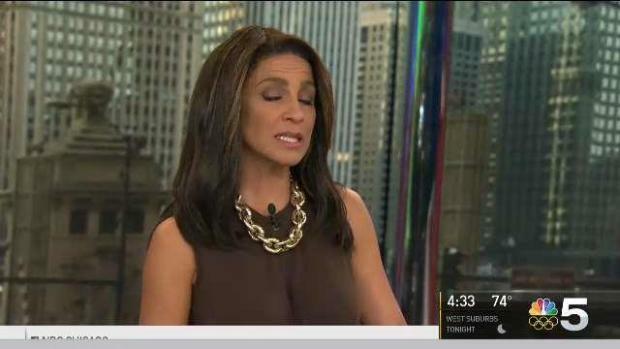 Geyser's appeal also argues that Geyser couldn't really understand what rights she gave up when she agreed to speak alone with a detective while she was in custody and confessed to the stabbing, the Milwaukee Journal Sentinel reported. Both Geyser and Weier sought to suppress their statements to law enforcement, but Waukesha County Circuit Judge Michael Bohren denied the defense motions. Pinix said it was "a mockery" to suggest Geyser knowing and voluntarily waived her right to remain silent or to have an attorney. The attorney noted the girl's age, unfamiliarity with her rights and the legal system, and a mental illness that was later diagnosed. "It took three months of targeted education (after she was arrested) for Geyser to gain sufficient knowledge such that she understood the legal system and her constitutional rights, including her right to counsel," Pinix argued in the court motion filed last week. Given the circumstances, Geyser's statements during more than seven hours in custody were involuntary, according to Pinix. The state's response to the brief is due next month.